Join Gee Atherton in the full MTB downhill race preview from Mont Sainte-Anne in Canada, home of one of the most spectacular UCI MTB World Cup stops of the season. This year's edition marks the 26th time that the World Cup has been held at Mont-Sainte-Anne. Last time out there was success for America’s Aaron Gwin and Great Britain’s Tahnée Seagrave in the downhill races. 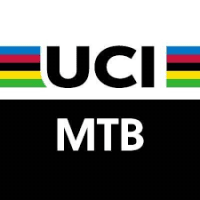 Over the course of its life the Mercedes-Benz UCI World Cup has seen races all over the globe, created two-wheeled heroes and produced some of the most spectacular sport the planet has ever seen. But one thing has remained constant… the terror that is Mont-Sainte-Anne.One of the big drawbacks of mountain bike racing is that tracks are always, quite understandably, being tweaked and rejigged which, although great for racing, means that we don’t have any consistent stripes on which to measure one generation against the next. Mont-Sainte-Anne is that course that can be judged over the generations. The track has morphed over the years but it’s a standing monument to severity in both XCO and DH guises.Add to this the Quebec area’s propensity for, shall we say, ‘dampness’ and you have a recipe for one of the biggest and most entertaining race weekends of the year.